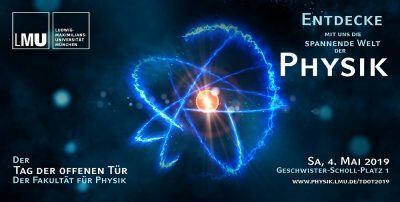 The Cluster of Excellence e-conversion will be part of the “Tag der offenen Tür” of the LMU Faculty of Physics. 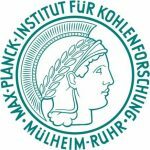 On Saturday, May 4, 2019, from 11:00 am to 6:00 pm, the Faculty of Physics of the Ludwig-Maximilians-Universität München will open its doors. We cordially invite you to immerse yourself in the exciting world of research. Here you can experience how LMU physicists gain the latest scientific knowledge. Children, pupils and adults are invited to experiment in different workshops. For high school students, we offer the opportunity to inform themselves about the study programs of the faculty, to gain insights into the physics studies in sample lectures and to exchange personal with scientists. In addition, possible career paths within and outside the research as well as the prospects of start-ups are presented.